The Tampa Connection provides young professionals with a unique opportunity to get involved with the local community. Each year, four or five nonprofits are selected to receive help with a predetermined project. 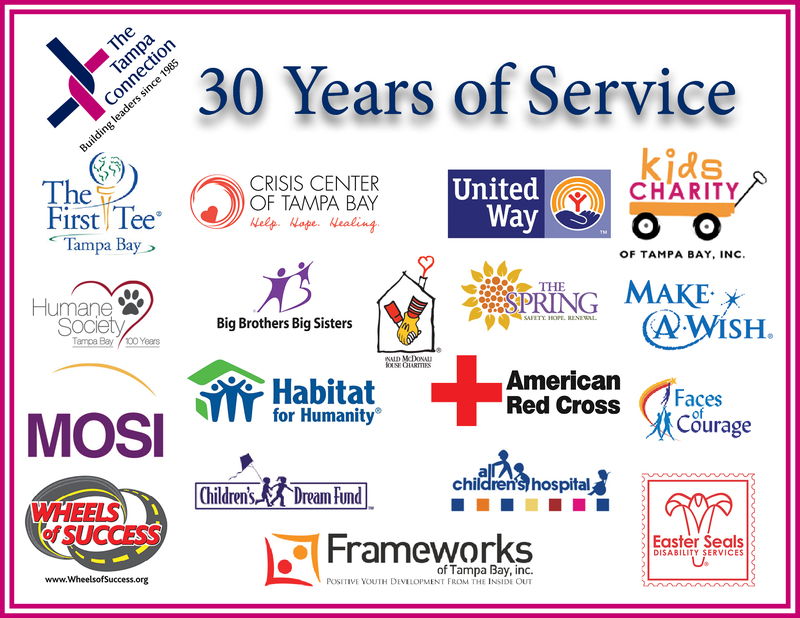 The Tampa Connection Class is split into groups to help the nonprofit to achieve their goal. Projects can include anything from volunteer recruitment to community awareness campaigns. Over the last 30 years, our organization has completed 111 projects for nonprofit organizations from all over the Bay Area.